EdPrivacy - Proactive Student Data Privacy Protection. Commit to privacy before curriculum, content, and student outcomes. 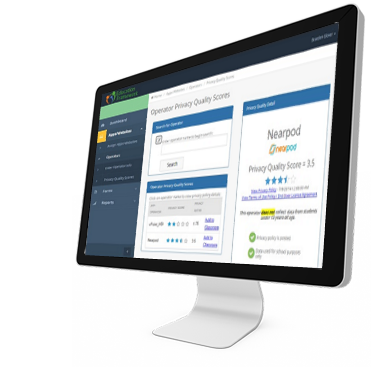 Leverage thousands of privacy quality scores to easily vet education resources on-demand. Inform faculty, staff and parents about how vendors use student data. Get all the information you need to determine if your district can provide consent on behalf of parents for apps and websites. Engage vendors about making improvements. Leverage Google G-Suite or MS Office 365. Understand when schools can grant consent. Conduct audits throughout the district. Request and post contracts from vendors. Understand the state of privacy in your district. Works anywhere, anytime, on any device. Deploy district-wide to faculty and staff with SSO. Manage the app request and approval process across your district. Student data privacy managment simplified and organized. Keeping them informed about student data privacy in your district. EdPrivacy is a 'Do-It-For-You' solution.